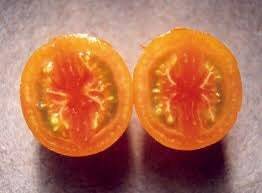 This wonderful French tomato is the size and color of an apricot, with more orange on the outside and a blushing rosy interior. 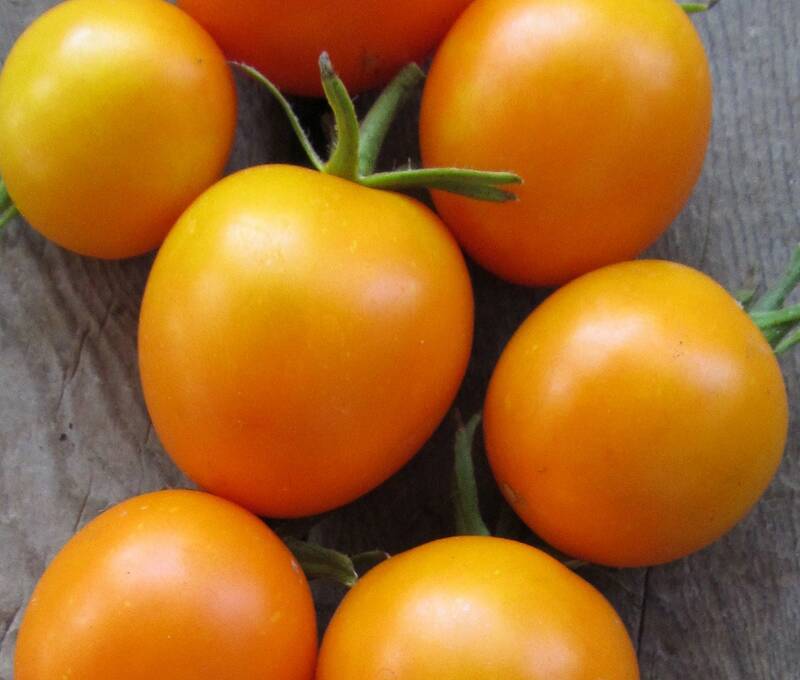 Easy to grow and very prolific, Jaune Flamme will ripen just days behind the cherries and well ahead of beefsteaks, and it goes on producing until frost. Perfect halved in salads, and it makes a beautiful sauce.